March 5, 2018  The report, obtained by NPR, shows that "sunny-day flooding" may be a regular occurrence in some areas. It sets out to give communities a clear guide to prepare for coastal flooding. 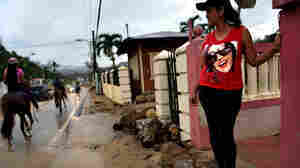 October 12, 2017  Blanca Matos' home, which backs up against a river, has flooded, and re-flooded, nearly every day this week. After each rain, she mops the house, cursing the river. September 26, 2017  During Harvey, Irma and Maria, rising floodwaters and high winds raised alarm. 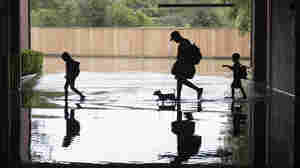 But afterward there are new risks — standing water, mold, mosquitoes, deadly heat. Despair can linger, too. September 1, 2017  As Harvey's waters begin to recede, the hard work of recovery begins. 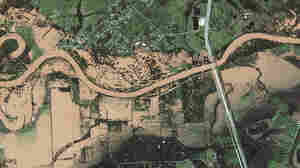 New satellite photos show just what the storm wrought: an almost unfathomable amount of water, submerging entire towns. August 31, 2017  Poor neighborhoods on the northeast side were hit hard by the storm. But residents say they received little help evacuating, and now they are struggling to get basics: food, water and information. 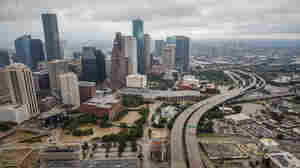 August 31, 2017  Urban planning experts say Houston's flat landscape, outdated drainage system and unchecked development have left the city vulnerable to catastrophic flooding. August 31, 2017  The building was declared dilapidated, but people were still living there. 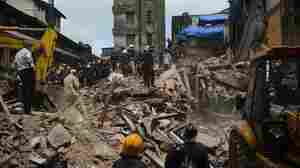 The Indian city has experienced recent flooding, and substandard building materials have been a factor in other collapses. August 30, 2017  School was supposed to begin this week in Houston, but Harvey's devastating flooding has made that impossible. Here's how the school district is coping and working to move forward. August 30, 2017  In the past few days, Southeast Texas' catastrophic medical operations center has faced challenges like it has never seen before in keeping the health care system functioning. August 10, 2017  Despite public assurances that pumps were operational, the city saw severe flooding last weekend. 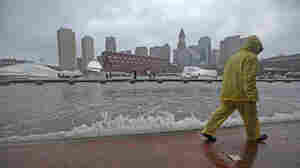 Now there are concerns more flooding might be on the way. 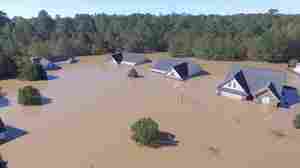 October 12, 2016  A drone photographer posted an image of a submerged home in North Carolina. 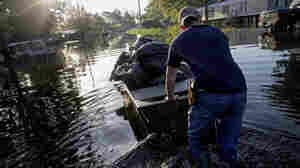 Then a man in Texas discovered it was his brother's house — and the two men managed to coordinate a rescue operation. August 21, 2016  The state is entering recovery mode after the flooding killed 13 people and damaged at least 60,000 homes across 20 parishes. It's expected to take months and the governor says the state needs help. August 16, 2016  Federal officials are expanding a disaster declaration to include more areas inundated by floodwaters. 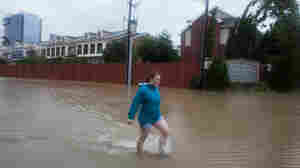 At least 40,000 homes have been damaged by floods since Friday. 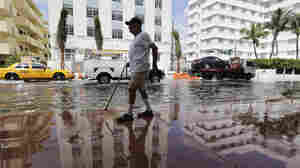 May 10, 2016  As the climate change debate rages, leaders in Miami Beach, a city that routinely floods, are tackling sea-level rise head on by raising roads and seawalls and installing new storm sewers and pumps.